Prices are subject to change. Tax, delivery, damage waiver, and other fees are not included in price estimates. Please call us for special pricing for large events, weddings, reunions, & business meetings! 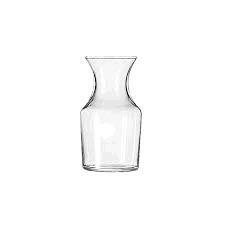 * Please call us with any questions you may have about our glass bud vase 3 oz rentals in Columbia MO and Central Missouri. Serving Columbia, Jeff City, Mexico, Ashland, Sedalia, Harrisburg, Hallsville, Moberly, Macon, Booneville and the entire Central and Mid-Missouri area with all your wedding rentals, party rentals, equipment rentals and construction rentals needs!